UPDATE: Their form says it’s no longer taking submissions… no longer available? Click here to visit their facebook and like them. 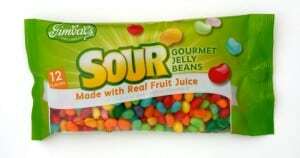 Then fill out the easy form on the “Try It!” tab to request a free sample of their Gimbal’s Sour Lovers Candy. hmm this sounds like something the grandkids will definetly enjoy! that is wrong it says first 1000 and there has only been 72 people i wanted to try this . i hope i win, i love sour candy! Can’t wait to see if I get one! !